Despite the booming economy… three long-running companies are getting left behind. Those companies are General Motors, General Mills, and General Electric. General Motors has lost $1.5B in market value since 2010. General Mills isn’t selling much of anything. And General Electric hasn’t had a smaller market cap since the Great Recession. 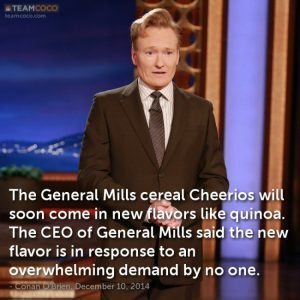 General Mills has been getting killed… by changes in American preferences for healthy breakfast alternatives. General Motors profit has been going nowhere since its IPO in 2010, and now the company is facing rising costs for steel and aluminum. And as for GE… the company is having difficulty recovering from years of bad deals and a mountain of debt. The company has lost nearly $500B in market share over the last 18 years. It just goes to show that even the most iconic companies are fair game for disruption and hardship in the markets they once dominated. It’s time for a change or to suffer the consequences!